Sally Mauk: Welcome to Campaign Beat" our weekly political analysis program. I'm Sally Mauk and I'm joined by veteran Capitol Reporter Chuck Johnson, and University of Montana Political Science Professor Rob Saldin. And Rob, the six Democrats and one Libertarian candidate hoping to challenge Republican Congressman Greg Gianforte debated each other in Seeley Lake this week. The Green Party candidate Doug Campbell was a no show, and one of the Democrats, Lynda Moss, had a stand-in. One issue where these candidates may differ the most is on health care. And John Heenan is the only one who seems to be all in for immediately urging single-payer Medicare for all, but some of the others support getting there incrementally. Rob Saldin: Yeah that's right. And I think we do see a real meaningful distinction here between Williams — and I'd say Kier also clearly is in this camp — on the one hand, and then John Heenan on the other end. It mirrors a split within the national Democratic Party and among health policy experts. And you know, I think one thing to note, that overall in this milieu , basically everyone more or less has the same goal, and that is universal coverage. But there's a big disagreement over how to get there. Heenan wants a universal social insurance program, kind of scrap the system we have and start fresh. The other candidates want to take more incremental steps. Here's what Kathleen Williams had to say. "We need to allow people 55 and older to buy into Medicare to create a groundswell of demand for a better public option. And they will." SM: And Rob, she's basically saying she doesn't think public support for single-payer is there yet, and needs to be nurtured. RS: That's right. The political hurdles are just too big. So that's a real contrast with Heenan who says basically he wants to just go for the gold ring; to start from scratch. The system we have now is fundamentally corrupt, we need to overhaul it entirely and move to a system like they have in the UK, like they have in Canada. Williams makes kind of the argument that the other group has. And that is like OK maybe they'd be nice in theory but it's totally impractical given the political influence of the insurance lobby, pharmaceutical lobby, doctors groups and so on. And so the only politically viable route to reform is through these incremental steps. And you know if you look at it historically, it has been this more pragmatic incremental approach that's carried the day. Medicare, when it was passed, it was for those 65 and older, and not because that was the only demographic that reformers cared about, but because it was seen as a demographic that was worthy of assistance by most Americans, and so therefore it was an easier political lift. They recognize there is no way that they're going to get social insurance for everyone but the original idea with Medicare was still to use it as a foothold to expand it to other groups over time. Same thing with the Affordable Care Act. The Obama White House and the Senate Finance Committee which was chaired by Max Baucus made the deliberate decision to work within the existing healthcare system. Not because they thought if you were designing something from scratch that that's how you'd want to design it, but because it was politically infeasible to start from scratch. And so this is an old debate within the Democratic Party in health policy circles. But it does give some real insight, I think, to where these candidates are coming from and the kind of approach they'd take back in Congress. SM: And it's safe to say, Rob, that all of them differ with Greg Gianforte on this issue. Gianforte never has supported a single payer and never would probably. RS: Right, for sure. And so I think whoever the candidate is running against Greg Gianforte will have another clear contrast in the fall. SM: Chuck, I believe John Heenan is the first U.S. House candidate to get a TV ad on the air, and it features former Supreme Court Justice Mike Wheat. "I'm endorsing John Heenan for 2018 congressional race. I've endorsed John because he is a fierce advocate and protector of Medicare, Social Security, farmers, ranchers and the Montana economy. John is a consumer protection advocate. It's high time we send somebody like John to Washington D.C. so he can stand up to these corporate bullies and their lobby and defend all Montanans.". SM: And Chuck, the visuals in this ad are pretty minimal. It's Justice Wheat looking into the camera with mountains in the background. Chuck Johnson: That's right, Sally. It's certainly not a fancy ad with a lot of graphics blazing through and music and all of that — much music — but it's kind of an odd ad. To me, I wondered why John Heenan, instead of using Mike Wheat — who even though he was a Supreme Court justice, isn't terribly well known because justice is kind of labor in obscurity. Why he didn't use a family or an individual that he'd helped against the big corporations that he talks about. Why not tell the story of how he helped people rather than have someone tell the story about how he did it without giving any specifics. So, it's an opening ad, I'm sure there'll be more coming, but I think it was as good as it could have been. SM: It does get Heenan's name out there, and doesn't have anything offensive in it, I guess, is the best you could say about it. CJ: Well that's true. And you know, so much of winning an election, especially in a crowded field, is all about name identification. John Heenan has, so far, the most money in the campaign, and he's put in, I think, $200,000 of his own money. So we shall see what happens when the next campaign reports are filed soon. But being out there alone is helpful and his name is getting out there in a way that others aren't right now because it's on TV. But I would expect we'd see better ads down the road. SM: Rob, the New York Times had an article this week that analyzes the impact of the growing gun control movement on congressional races in red states like Montana. And it makes the point that a growing number of Democratic candidates including Kathleen Williams and John Heenan can be for both gun rights and gun control. RS: That's the premise of the article. I think it's an open question about whether it's true , just purely as a matter of political calculation. Going after the NRA is probably fine, even good in a Democratic primary. But the trouble could come in the general election. You know Steve Bullock was quoted in there too. Pretty aggressive statement that even just a few months ago it would be hard to imagine a governor of Montana saying something like that. But of course he's term -limited out. He's not going to be before the Montana voters anytime soon, if ever again. So he's in a little bit of a different position. SM: Not everyone agrees with the author of this article that this is a good tack for a Democrat in a red state to take. And Grant Kier is quoted in the article as saying, "I don't see myself as running against the NRA. I see myself as running against Greg Gianforte." RS: Yeah that's right. And that's pretty consistent. I mean I think some people might look at that as a little bit of a cop out or a dodge of the issue. But you know, the other way of looking at it is that Kier's been consistent and the other candidates have flip flopped on the issue. You know just a few days before the Florida school shooting the Democrats had a debate in Missoula, and you and I were there, Sally, and one of the questions was whether they'd support background checks. John Heenan went first and he said no, he wouldn't support such a proposal. We have enough gun laws, he said, we just need to enforce them. That is pretty much an NRA talking point. And then one by one all of the other candidates parroted Heenan's answer. But now after Parkland they are being much more aggressive towards the NRA and have moved. And certainly people — including politicians — should be allowed to change their minds, particularly when there's new evidence or when major events cast things in a new light. But Kier is the one who seems to have been most consistent on this point. SM: And they must have forgotten about Sandy Hook. Chuck, MTPR's Capitol Reporter Corin Cates-Carney had an interesting piece this week on the success rate of wealthy candidates, those who can afford to contribute a lot of money to their own campaign as opposed to those who can't. And here's a startling fact from Edwin Bender of the National Institute on Money in State Politics. "The people who have the most money or are incumbents win 90 percent of the time.". And I guess that should be obvious, Chuck, but it's still kind of a stunning statistic, I think. CJ: Well it is. It definitely discourages people who don't have independent money from running. It keeps a lot of good people out of those races. And we saw it in the congressional race when State Representative Tom Woods decided not to run, saying there are some people in the race that had raised many times more than he had already, and he just thought it was not a feasible race to get in. So he dropped out and is running again for his state house seat. SM: Corin's reporting also pointed out that your chances of winning go way down if — besides the money you're contributing to your own campaign — if you can't also raise a lot of money. If most of the money is coming from your personal bank account, that's not a good sign. CJ: That's definitely the case Sally. And we've seen some examples in Montana. And I think it's easy for people to criticize someone in that boat, saying that person's trying to buy the election. We saw it here with Mark O'Keefe when he lost the race in 2000 to Judy Martz. He and his wife put in $2 million of the $3 million they raised, and lost to Judy Martz who raised a total of $900,000. So there have been examples like that. 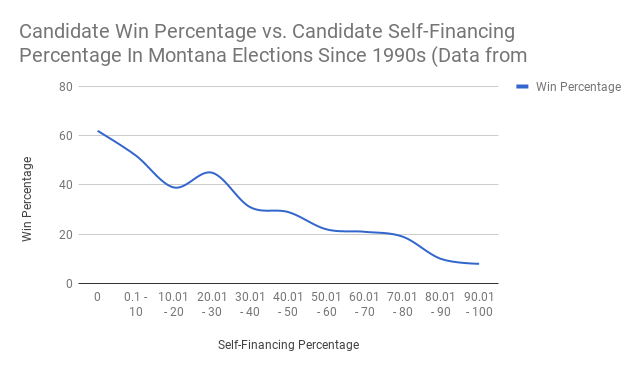 SM: And in Montana's congressional races, the wealthiest candidates are Greg Gianforte and John Heenan in the House race, and almost all other Republican candidates in the Senate race have seven figure assets, Rob. RS: Not really a big surprise. It's a lot easier to get into this game if you've got a lot of money and don't need to worry about holding down a regular job, and if you have some money that you can toss into your campaign coffer. SM: Finally Chuck, this week Montana lost one of its most well-known Democrats. Senator John Melcher has died at the age of 93. He certainly made his mark on Montana politics. CJ: Well he did. John Melcher was a state legislator who ran for the U.S. House in 1969 in the special election and won. 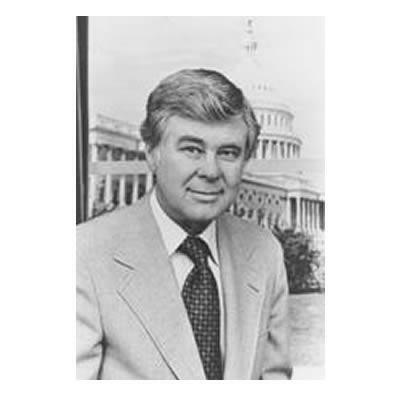 Served in the house until 1976 where he ran for the Senate and won two terms. He was known as a fighter for Montana agriculture. He was a person who spoke his mind. He kept the Senate from adjourning more than once to try to get one of his provisions into a federal law. Melcher lost in sort of a surprise defeat in 1988 when Conrad Burns beat him. It was a surprise, although a key factor in that defeat I think, was President Reagan's pocket veto of a bill that would have resolved a lot of the wilderness lands that were under study that we're still talking about today, and that hurt him. And I think John Melcher had, in some respects, lost touch with his district. I just think John had not kept in close touch as he might have. He was known to his friends as Doc. He was a veterinarian. The Crow Tribe gave him the name "Dull Knife," and he was a well-liked guy in Montana. A conservative Democrat. One story I'd like to re-tell is the Washington Post had a columnist named Coleman McCarthy — very very liberal columnist who wrote a column at one point calling Melcher the meanest member of Congress for some vote he took or some statement he made. A couple of years later a food bank or a soup kitchen in Washington called on members of Congress to volunteer to deliver food or give out soup, and only one member of the 535 showed up that day. And it was John Melcher. And Coleman McCarthy wrote a column saying how wrong he was about Melcher, and that he had a heart and was a kind man, and so I think that was a nice tribute to John Melcher. SM: He certainly will be remembered in Montana as one of the more notable Democrats of this era. 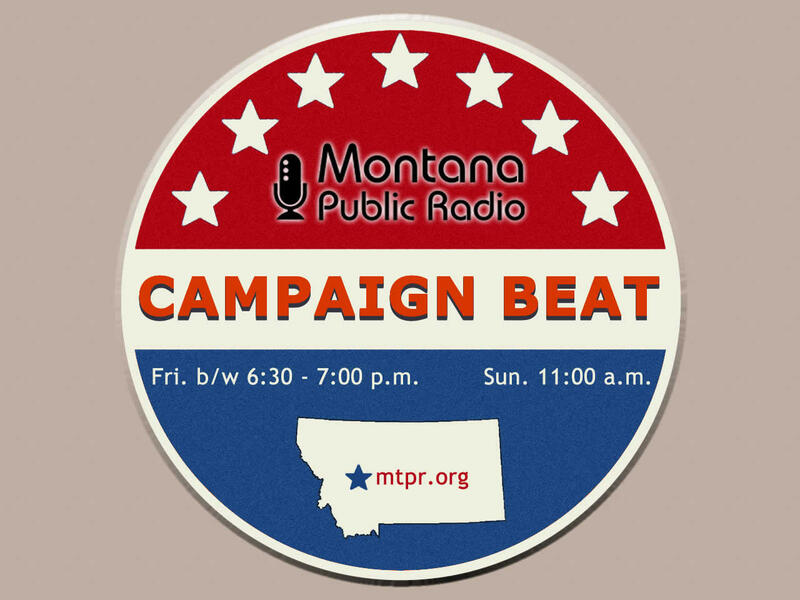 You've been listening to "Campaign Beat" our weekly political analysis program. I'm Sally Mauk and have been speaking with veteran Capitol Reporter Chuck Johnson and University of Montana Political Science Professor Rob Saldin. And guys assuming pledge week goes well, we'll talk again next week. 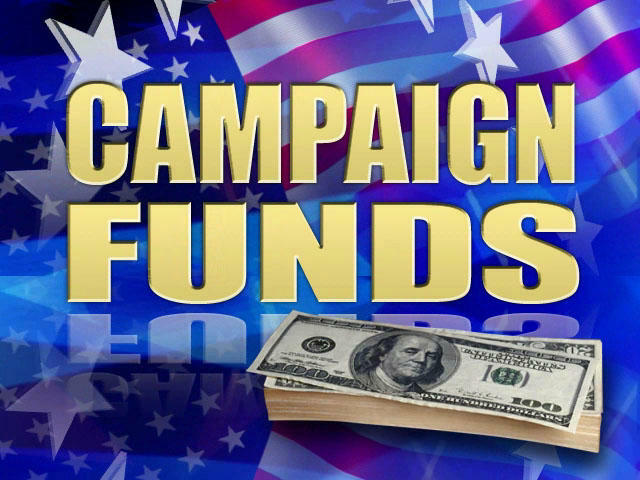 Candidates for Montana’s seats in the U.S. House and Senate are required to file quarterly fundraising reports by Sunday. Today, several published fundraising results early about the donations they've been able to pull in since the start of the year. Nearly 100 people showed up at the Seeley Lake Community Center Wednesday night to meet the candidates vying to challenge Republican Greg Gianforte for Montana’s lone U.S. House seat. The six Democrats and one Libertarian chatted with potential voters over pizza before settling in for a rapid fire forum. 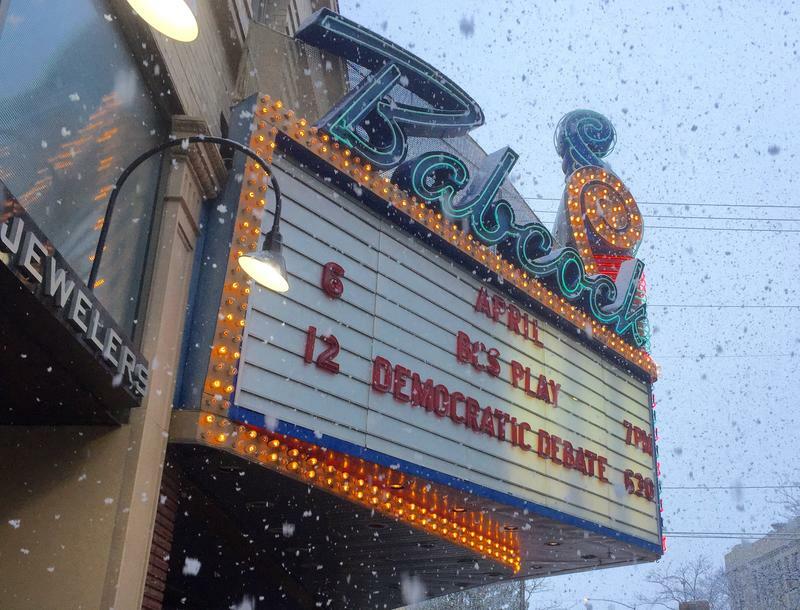 Former Montana Democratic U.S. Senator John Melcher died Thursday. Melcher’s daughter Joan, says her dad died peacefully at his home in a chair overlooking Missoula’s Rattlesnake Creek. His 35-year political career included seven years in the House and two terms in the U.S. Senate.